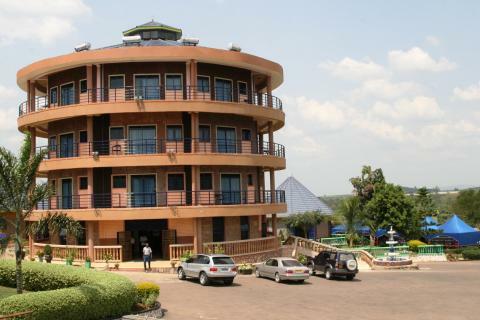 Tooro Royal Cottages is a pioneer eco-friendly 3 star hotel located in Kyenjonjo Town, about 160 km from Kampala. Most of the national parks of Uganda are just 2 hours drive from here, including the Queen Elizabeth Park and the Rwenzory National Park. Tooro Royal Cottages offers double, twin, single self-contained rooms and cottages. The TRC breakfast as well as the use of health club facilities (swimming pool, sauna, gym) are included in the price of accommodation. At the restaurant and bar guests could enjoy local and continental food and drinks.